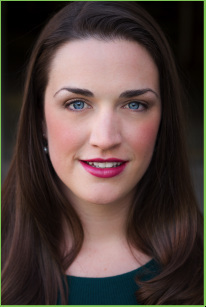 Chelsea Beatty is an active performer, teacher and arts administrator based in Boston. Chelsea is a member of the voice faculty of Boston Conservatory at Berklee College of Music, where she teaches voice for dance majors. As a soprano, Chelsea focuses on developing new work outside of the mainstream repertoire. She is currently working with Boston-based OperaHub on the new play DIVAS that brings together nine historic opera divas, highlighting their contributions to culture, fashion, and the progress of women. Chelsea is the Sr. Integrated Marketing Manager at Boston Ballet, where she focuses on project management, marketing strategy and copywriting. Previously, she served as General Director of Boston Opera Collaborative, a company notable for their commitment to empowering their roster of young artists to develop skills onstage as performers, as well as behind the scenes as administrators. Chelsea is a two-time district finalist in the Metropolitan Opera National Council Auditions. She holds a Master of Music in vocal performance from University of Colorado Boulder and a Bachelor of Music from The Boston Conservatory.